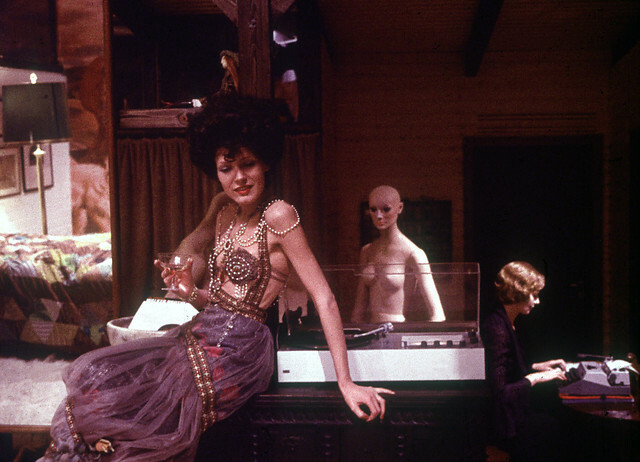 The VITO Project is delighted to present The Bitter Tears of Petra Von Kant, Rainer Werner Fassbinder’s 1972 lesbian drama starring Margit Carstensen, Hanna Schygulla and Irm Hermann. This will feature a 35mm print. Based on his own play, Fassbinder’s stylised drama is restricted to her bedroom, which is dominated by a huge reproduction of Poussin’s Midas and Bacchus. Petra Von Kant (Carstensen) is a famous fashion designer, living with Marlene (Hermann), who she dominates. She falls in love with the beautiful Karin (Schygulla) who wants to be a model. The screening will be followed by a Q&A/discussion.